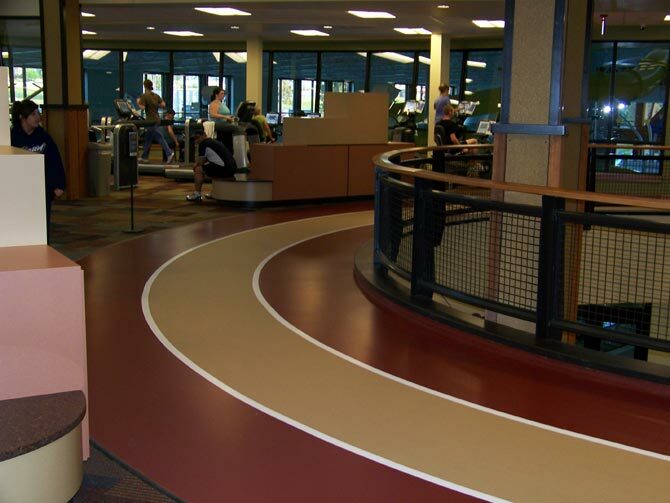 Northern Hardwood Company offers a wide variety of synthetic sports flooring systems that are perfect for: running tracks, multi-purpose rooms, gymnasiums, cafeterias and roller skating rinks. We can customize your synthetic sports flooring surface by offering various color combinations and textures to enhance your specific requirements. Our experienced and knowledgeable installers have performed at the leading edge of the synthetic industry since these products were introduced in the late 60’s. With many options to choose from in both style and appearance, we can provide synthetic sports flooring with a wood grain look, solid color look and even custom colors to match a school or businesses preference.